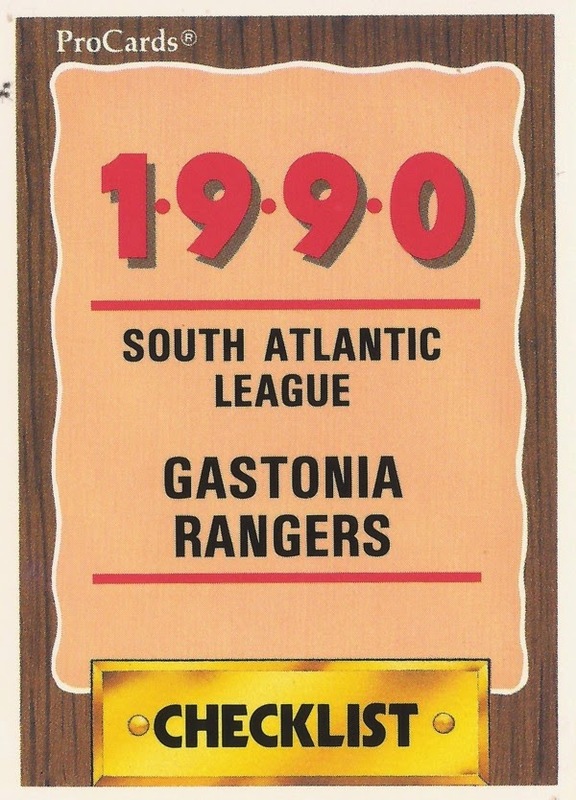 Features on each member of the 1990 Gastonia Rangers, single-A affiliate of the Texas Rangers. Players featured are as included in that year's team sets. John Graves chose to take the opportunity, didn't look back. 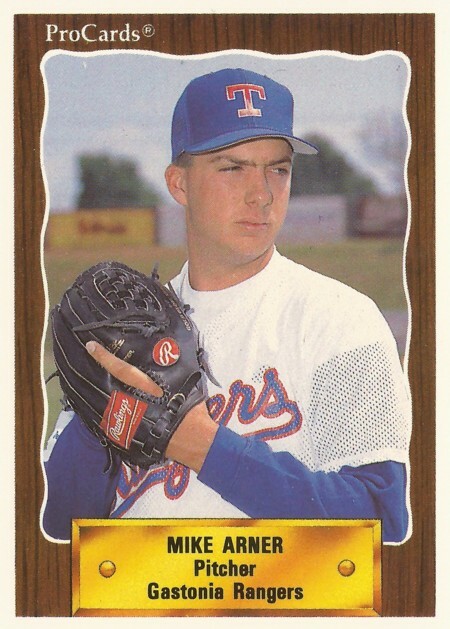 Mike Arner started strong in a July 1990 start at high-A. He played at AAA, but not in the majors. The Rangers liked Eric Bickhardt's makeup. He played four seasons as a pro. Travis Buckley got one last shot at playing. Got him into his 10th and final pro season. He never made the bigs. Mike Burton used his baseball skills in seven seasons, then transferred them to golf. Jim Clinton learned to change positions. It got him to seven seasons, but not the bigs. Joey Eischen had an unusual approach. It got him into 10 major league seasons. Troy Eklund went from a brief career as a pro player to a career in broadcasting. Brian Evans pitched well, but he only pitched in three professional seasons. Jay Franklin has gone from a brief playing career to a long career as an agent. Orlando Gomez has stayed young for 50 years. John Graves earned an April 1990 save. Pitched just two seasons as a pro. Jonathan Hurst stepped on his high school baseball field and was in heaven. Made bigs in two seasons. Joe Lewis cut a runner down at second in 1989. He played three seasons as a pro. Buddy Micheu went from baseball to a career in law enforcement in New Orleans. Timmie Morrow helped the Port Charlotte Rangers to a 1992 win, but he never could help himself to the bigs. Craig Newkirk tried to lead by his actions. He played four seasons as a pro. Jose Oliva wanted to show he could play in the bigs. He played there in two seasons. Kenny Powell played five seasons as a pro. Since gone into another career: acting. Carl Randle threw a no-hitter at Gastonia in 1990. He played five seasons, never made AA. Brian Romero felt more relaxed with the lead. He played seven seasons, never made AAA. Not long after his Gastonia photo was taken, Ronaldo Romero was gone. He was 19. Ramon Santiago kept track of equipment. He later changed careers. Tony Scruggs' baseball fate was different than his old teammates Juan and Sammy. Brian Steiner was a hard worker but he never made AA. Tom Tisdale received recognition for his training work in 2005. Joey Wardlow helped his high school to a state championship. He played four seasons as a pro. Randy Whisler left pro baseball multiple times, only to return multiple times. Marvin White threw no-hitters in high school. Coached, but didn't play in the pros. Barry Winford crossed paths with a Hall of Famer in spring training. He never made AA himself.